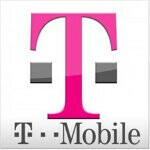 Today T-Mobile announced their new Monthly4G unlimited plan that will provide unlimited talk, text and 4G data for only $60 per month with no contract required to reap the benefits. The new Monthly4G plan is a new addition to their already solid array of no-contract plans. T-Mobile’s latest no contract offering delivers all that is good about their speedy HSPA+ network, to a certain degree. Just like what the carriers are starting to do with their contract customers, the “unlimited” web use is only capable of accessing the 4G network until the 2GB threshold of data is crossed. Once 2GB of data is used then T-Mobile will throttle the internet speeds until the new billing cycle begins. In addition to the new Monthly4G plan T-Mobile also unveiled a few pay by the day options. For $3 per day on the days of use you can treat yourself to unlimited talk, text and 4G web or for $2 per day you can talk, text and surf all you want but the internet will be provided at less than stellar 2G speeds. A $1 per day plan was also introduced that will allow unlimited text messaging but any calls being made will be charged 10 cents per minute. As previously noted these new plans will not require any type of commitment. You can purchase a T-Mobile handset at full price or provide a T-Mobile device of your own for the service. Although T-Mobile will be slowing heavy users down, there is no denying that $60 per month with no contract is a pretty solid offer. Tell us what you think. Can you believe it, tmo is offering the HTC Wildfire S for those defecting from iphone 4s. No wonder they're loosing business. This is the kind of crap Tmo US pulls that warrants DT to sell it off as fast as they can. HTC Wildfire S goes for $200 at Virgin Mobile with contracts starting at $35 a month, but data speed is 3G.